Rega Planar 2 review | What Hi-Fi? What do What Hi-Fi?, Reese Witherspoon, The Eagles’ Hotel California album and Rega’s Planar 2 have in common? It’s not your average pub quiz question, so we’ll spare you the head-scratching. The correct answer is that 2016 is the year they all turn 40. 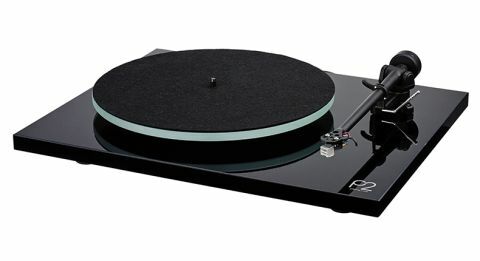 In 1976, three years after Rega’s creation, the Planar 2 launched as one of brand’s very first turntables. Its S-shaped tonearm was then replaced in 1984 with Rega’s RB250, and at the turn of the century a brand new version of the deck – fittingly named the P2 2000 – took its place in Rega’s catalogue until 2005. Now over a decade later, the Planar 2, having been developed over the past two years alongside the recently-released Planar 3, has been brought back from the dead – this time with the unabbreviated ‘Planar’ name. The Planar 2 has been on quite a journey then, so much so that the only things existing from the original being the drive belt and the plastic mouldings for the dust cover lid hinges. That’s surprising, as a picture of the last and current-generation models side-by-side would make a challenging spot-the-difference puzzle. The only things you’d ring straight away are the acrylic-laminated plinth – now supposedly more rigid and, like the Planar 3, sporting a more modish black or white glossy finish – and the power switch, which now sits underneath the plinth. It’s a smartly understated design, and solid build quality is a sign of Rega’s long-established success at this price bracket. Less immediately obvious changes include the new 24v low-noise motor, newly-designed central bearing, and upgraded platter with a new floating glass ‘Optiwhite’ design. Rega has also designed new feet to make the deck more stable. Even the packaging has been changed. Most importantly, the Planer 2 is fitted with Rega’s new RB220 tonearm, which features new ultra-low friction ball bearings, a stiffer bearing housing and an automatic bias setting, making it virtually plug ’n’ play. That should please newcomers who want to enjoy vinyl with minimal fuss, but do be aware that the Planar 2 doesn’t have a built-in phono stage, so it needs to hook up to a stereo amplifier that has one or you can always buy a separate one. The Marantz PM6005 (£300), or a dedicated phono stage, such as the Rega Fono Mini A2D (£85) would be a good match. The no-nonsense set-up requires minimal effort, save for ensuring the speed is set correctly (speed change is manual) and fixing the weight to balance the tonearm. Once the tonearm is in a floating position, setting the Carbon MM cartridge’s tracking force to the recommended 2g simply entails turning the weight a whole circle (half a turn per gram). While we’d prefer numbers on the dial for guidance, we do find it reasonably accurate. Needless to say, buying a stylus gauge to double-check the measurement would be money well spent. It’s important that the Rega sits dead flat on a tabletop or wall bracket, too. We spin SBTRKT’s Wonder Where We Land album and the Planar 2 finds its groove straight away. Anyone well-versed in Rega decks will no doubt recognise its sonic stamp: balanced and authoritative with impressive scale and natural musicality. It gets us toe-tapping to New Dorp, New York the moment the first beat thumps into being. The Rega delivers the bass line with punch, its low end earning its wings for handling the depth and texture of the guttural bass guitar in Gon Stay. And it has the agility and momentum to bounce along to Ezra Koenig’s perky vocal accompaniment. There’s insight into his playful quips, and a fitting solidity to the more thickset monologue that reveals the Rega’s midrange versatility. Any hi-fi kit that’s going to get the best of SBTRKT has to be fairly methodical in its handling of flittering tinny beats, slicing percussions and frenetic rhythms, and while the Rega has the necessary precision and rhythmic know-how to coordinate them accurately in the soundstage, its delivery isn’t without enthusiasm. The Rega is big-sounding enough for the lush electronic soundscapes laced with synth chords to sound bold and atmospheric too. It gets into a Saturday night feeling with the album’s pop melodies, and uptempo drums are energetic and punctual in the mix. It’s equally at home with the intricate, nuanced arrangements of Miles Davis’ Kind of Blue too, rendering the dynamic subtlety and timing to grasp the music’s subtly shifting manner, and packing a single wistful trumpet note with texture and information. It’s a proper step-up in performance from the RP1 too. The Planar 2 is a high-performing deck at a competitive price. And it can celebrate its milestone birthday with another five-star review from us.